The new law will take effect in Virginia on July 1 of this year. Virginia just officially raised the smoking age for the first time in 27 years. On Thursday, February 21, Virginia Governor Ralph Northam signed a bill raising the Commonwealth's minimum age for tobacco consumption from 18 to 21 years old. The new law, which will impact the sale and consumption of vaping, smoking, e-cigarettes, and other nicotine products, first passed the Virginia House of Delegates as House Bill 2748 on February 5, with a vote of 67-31 in favor, and had since been awaiting the governor's signature. The Commonwealth's official bill-tracking website, Virginia's Legislative Information System, published the update of the governor's signature on Thursday evening, where it was followed by reports from news outlets. The law will officially take effect on July 1, 2019. The bill explicitly includes “tobacco product[s], nicotine vapor product[s], or alternative nicotine products[s],” with a clear emphasis to include vaporizers, e-liquids, and e-cigarette devices. According to spokespeople, the law comes with the support of both Altria (parent company of Richmond-based cigarette giant Marlboro) and e-cigarette company Juul Labs. Juul Labs also released a statement in support. "We applaud the Commonwealth of Virginia for raising the purchasing age for all tobacco products, including vapor products, to 21 and we hope more lawmakers follow their example at all levels of government across the country." a spokesperson for Juul said in a statement. "We cannot fulfill our mission to provide the world’s one billion adult smokers with a true alternative to combustible cigarettes if youth use continues unabated." In addition to raising the legal smoking age to 21, the law will also affect online ordering and shipping regulations for vaporizer and nicotine products, as well as impose steep penalties for providing such devices to minors or consuming such items as a minor. The law will also require vaping products, juices, and e-liquids to display a prominent “and conspicuously displayed” Surgeon General’s warning (similar to the one we now see on cigarettes). Virginia, a state with historically lax tobacco regulations, first raised the legal smoking age from 16 to 18 in 1991. The legal smoking age has been 18 years old for almost three decades. 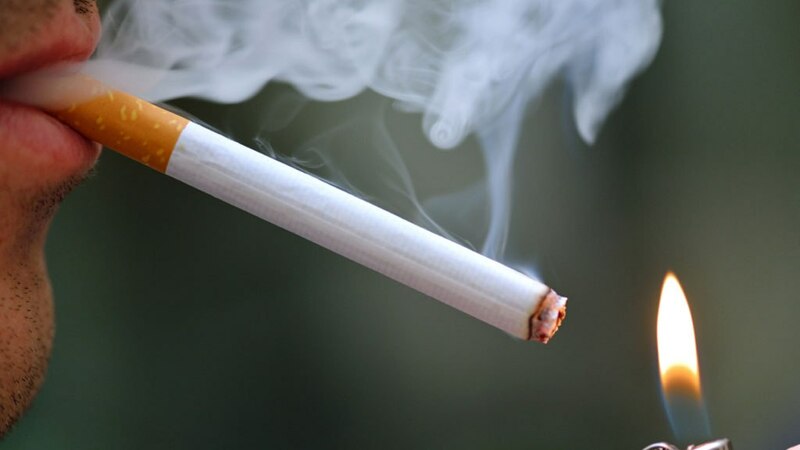 Notably, the bill, rather than adding another set of rules entirely, structures its foundational argument on amending existing cigarette laws by replacing age 18 with age 21, and to also expand the definition of that which “cigarettes” quantify -- meaning, for legal purposes, vaporizers, vapes, Juuls, e-cigarettes, etc. will now be pursuant to most of the restrictions in cigarette laws. In brief, vaporizers and cigarettes are now both treated as legally equivalent in the majority of situations. "We Can Reverse This Trend"
Virginia now joins California, Oregon, Hawaii, Maine, New Jersey, and Massachusetts as states raising the minimum smoking and vaping age to 21. Do you think it's a good thing that Virginia raised the legal smoking age? Will this affect you? Let us know in the comments! Read more on this story here!